New allegations have emerged from a number of men accusing Kevin Spacey of sexual misconduct. US filmmaker Tony Montana claims he was groped by the actor in a Los Angeles bar in 2003. It follows an allegation made by Anthony Rapp that the House of Cards actor tried to “seduce” him when he was 14 years old. Film director Montana told Radar Online that he was in his thirties when the incident took place at the Coronet Bar in LA. 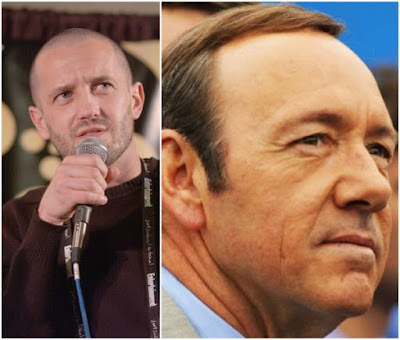 He says he removed Spacey’s hand from his crotch and walked away, but claims the actor later followed him into the men’s toilets. “I never talked to anyone about it except for therapists,” he said. Montana said the incident left him traumatized. Montana says he decided to come forward after he read about similar allegations made against Spacey by actor Anthony Rapp.